DJ MARCO TREPO !! The Man with 1000 ears & tastes !!!! 2000 % DYNAMITE !!! 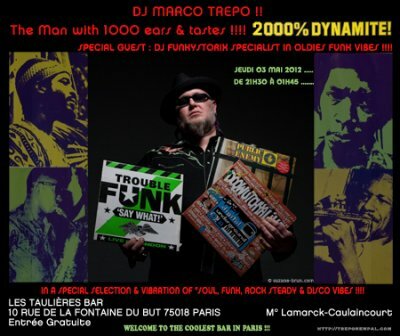 SPECIAL GUEST : DJ FUNKYSTORIX SPECIALIST IN OLDIES FUNK VIBES !!! !